The result is a musically pleasing performance of your music, where notes and phrases are musically united in a way you've never heard before – except from live musicians. 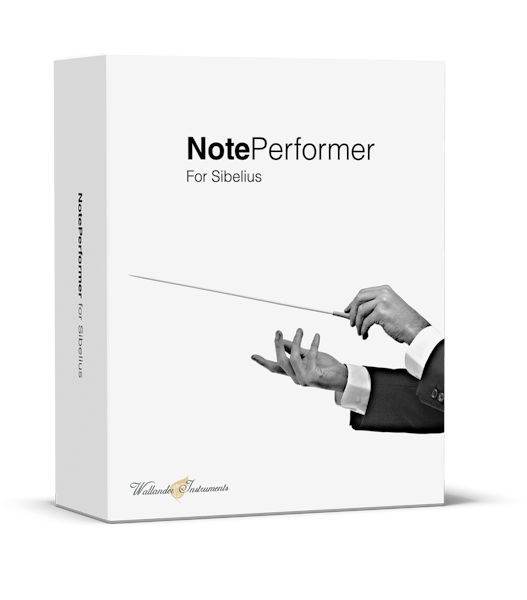 Using NotePerformer is no more difficult than using the built-in sounds in Sibelius. You need no technical skills or previous experience in using sample libraries or producing music. In fact there isn't even a separate interface, but you do all your work as usual in Sibelius. Instruments are assigned automatically, and can be controlled from the Sibelius mixer. NotePerformer is the ideal tool for orchestrating and arranging music, as it responds to and articulates your music just like a real orchestra. So the day you hand over your score to live musicians, you can feel confident that what you've written produces the sound you intended. And the players will thank you for providing an intuitively playable score. One which is written for musicians and not for computer playback. NotePerformer playback is so realistic, it's easily mistaken for a live orchestra if that's what you're after.